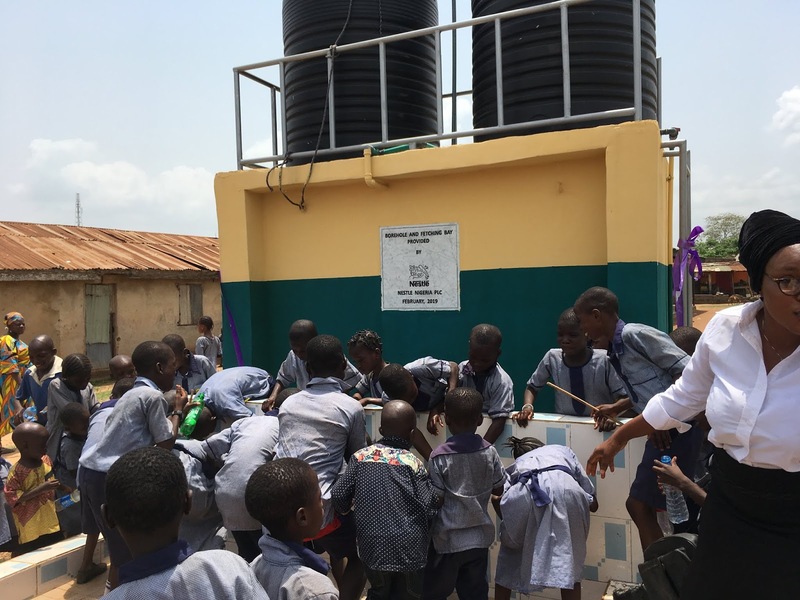 The recent handover of the refurbished facilities in two schools close to the company’s Abaji and Flowergate factories underlines its efforts towards impacting its factory communities positively. The two schools, LEA Primary School Manderegi and NUD Primary School, Owode Egba are part of Nestlé for Healthier Kids (N4HK), a school-based nutrition education initiative supported by the Federal Ministry of Health and the Federal Ministry of Education. N4HK achieves its objectives by teaching and promoting healthy nutrition, healthy hydration, hygiene and an active lifestyle. The training and coaching is implemented in collaboration with State Universal Basic Education Board (UBEB) in Ogun State and Universal Basic Education Board in the Federal Capital Territory (FCT). The program is reaching over 17,000 children and 350 teachers in 30 primary schools. The NUD Primary School project, which includes a refurbished classroom block, two new water system toilet facilities, and a borehole with water fetching bays, and a fully furnished playground, was commissioned in March. Water is an essential part of life, a basic need in every home. As important as water is to life, access to safe drinking water remains a challenge across the world, including Nigeria. The Multiple Indicator Cluster Survey (MICS) conducted by the government of Nigeria in 2016/2017, estimated that in the rural areas, 19 million people walk long distances to collect unsafe water from lakes, streams and rivers. The theme for World Water Day 2019, ‘Leaving no one Behind,’ draws attention to this problem and calls for action to address it. 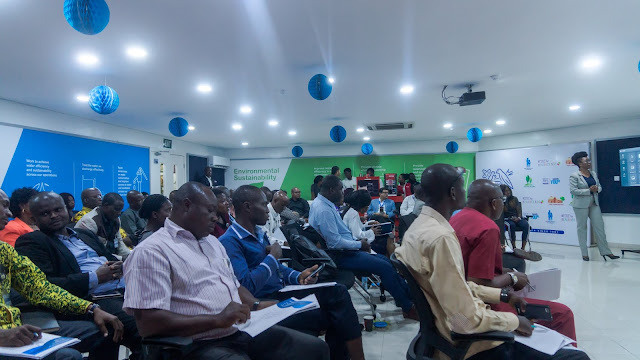 Strong in the belief that water is essential, Nestlé Nigeria has been at the forefront of actions to provide clean safe water in the communities close to its factories. 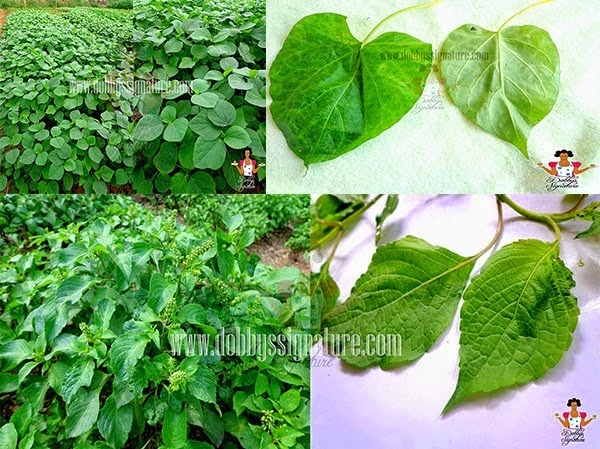 This is in line with its purpose to enhance quality of life and contribute to a healthier future. The company works alongside government and other stakeholders to improve livelihoods in the communities where it operates by Creating Shared Value (CSV) for everyone across its value chain. One of the focus areas is water - from facilities close to Agbara, Flowergate and Abaji factories, over 7,117,500 liters reach more than 6,600 people annually. 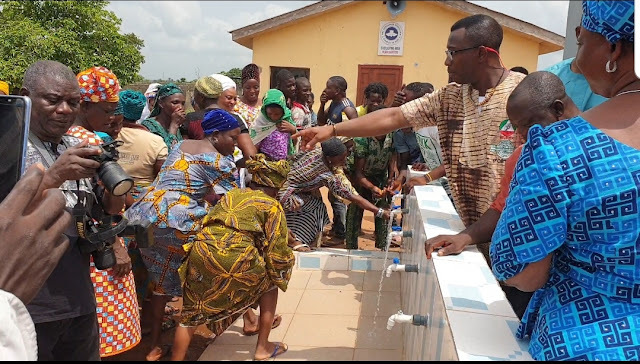 With the commissioning of four additional community water facilities in Areke, Bara, Owode Egba and the Alamala Military Barracks all in Ogun State today, 7,500 more people will have access to clean, safe drinking water. This is significant in view of this year’s theme for World Water Day. Speaking on the theme, the Managing Director and CEO of Nestlé Nigeria, Mr. Mauricio Alarcon said, “We recognize and respect the fact that water is a fundamental human right. Everyone has the right to water, no matter where they are. Individuals and families need water for drinking, personal and household hygiene, laundry and cooking amongst other needs. In line with Nestlé’s purpose of enhancing quality of life and contributing to a healthier future, we work alongside other stakeholders to provide access to clean safe drinking water to those who live closest to our operations. As we reflect on the theme for World Water Day, we reiterate our commitment to improving livelihoods in our communities.” Speaking at the commissioning of the community water projects, Mr. Ibukun Ipinmoye, Nestlé Flowergate Factory Manager said, “Today is very significant for us as it is another step towards ensuring that everyone in Press Release our community has access to clean, safe water for their basic daily needs. 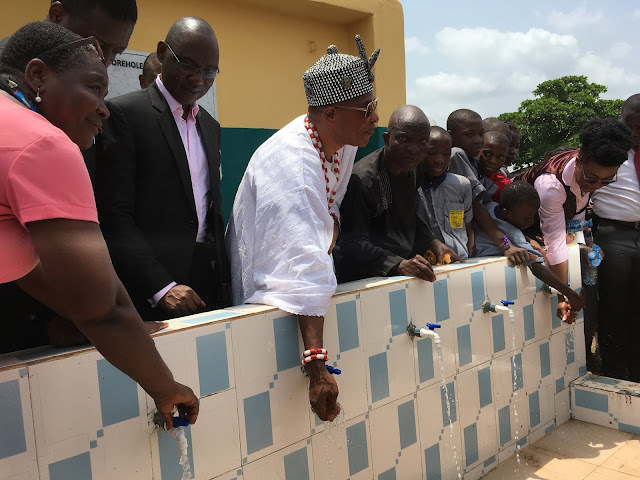 We are confident that these 4 new water facilities will go a long way towards reducing the burden of families who had to travel long distances to find water.” In his address at the handover ceremony of NUD Primary school project in Owode local government area, the Executive Chairman of Ogun State Universal Basic Education Board (SUBEB) represented by the Deputy Director Quality Assurance, Mrs. Agbatiogun Jokotade, commended Nestlé Nigeria for its continued commitment to the development of the community. He also encouraged the beneficiaries to take care of the new facilities to ensure that they serve them for a long time. The school project comprises a renovated block of classrooms and head teacher’s office, a new block of toilets, a fully equipped playground and a borehole with a handwashing station. The Olu of Owode, Oba Kolawole Sowemimo, representatives of Ogun State Education Secretary, community leaders and beneficiaries, also attended the event. Bose Akintomide of NUD primary school thanked Nestlé on behalf of children for the facilities, which would create a more conducive environment for teaching and learning in the school.